Table time is a valuable addition to any flexible routine. Simply put, it is a time when the children sit at the table (or desk or kitchen bench or wherever) and work on a quiet activity. It is a time set by the parent for this to happen and the activities used are those that are previously approved and designated as table activities. 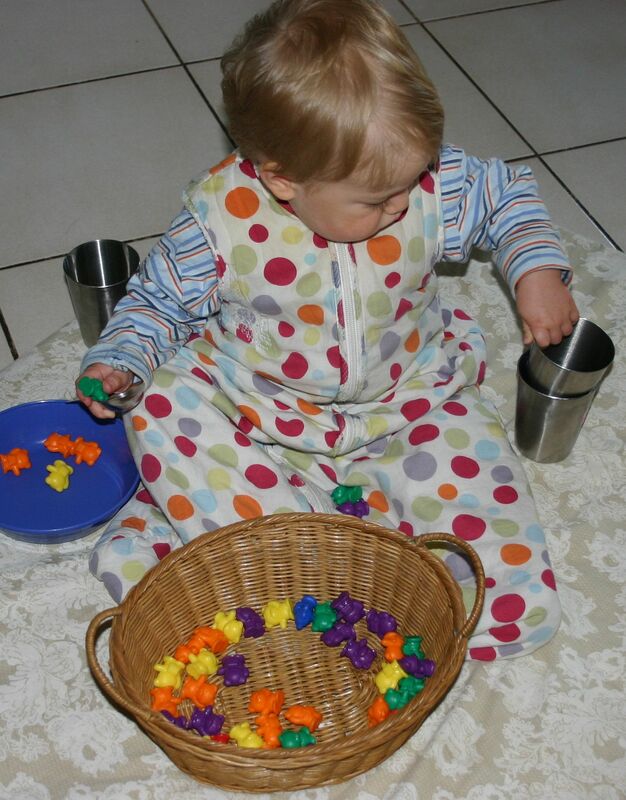 I choose the activities for my toddlers and younger children and set them out, the middlies usually get to choose between a limited number of activities (“Would you like drawing or felt board today?”) and the older children choose for themselves from activities that they know are already approved table activities. I chat to the children while they play at the table and am able to get the dinner made and served at the same time. While my routines have changed over the years, for the majority of the time I have used table activities after bath and shower time and just before dinner time. This allows me to get everyone finished in the bathroom and send them to their activities as they are done – no roaming about the house getting into mischief. I find that it is the transition times, the few minutes here and there between activities, that cause the most trouble and produce the most accidents. Left to their own devices, even for just a few minutes at this time of day, a cranky, tired, hungry toddler or child will rarely make good choices with their time! 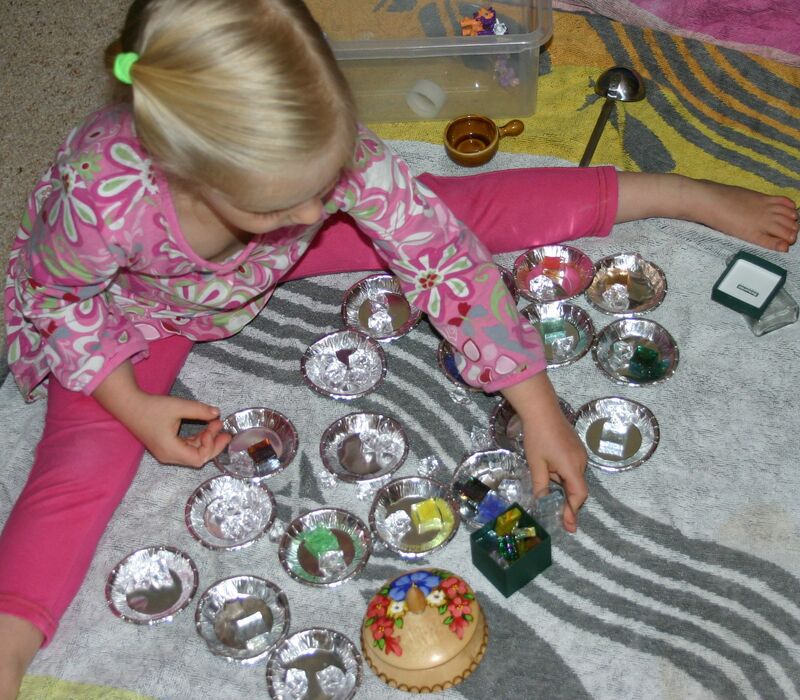 The possibilities for table time activities are virtually unlimited. I have a cupboard with shelves that is designated for table activities which makes it easy for the children to see what they can do. Anything you have that can be used independently while sitting at the table is a suitable activity. Some families like to use this time for homework. 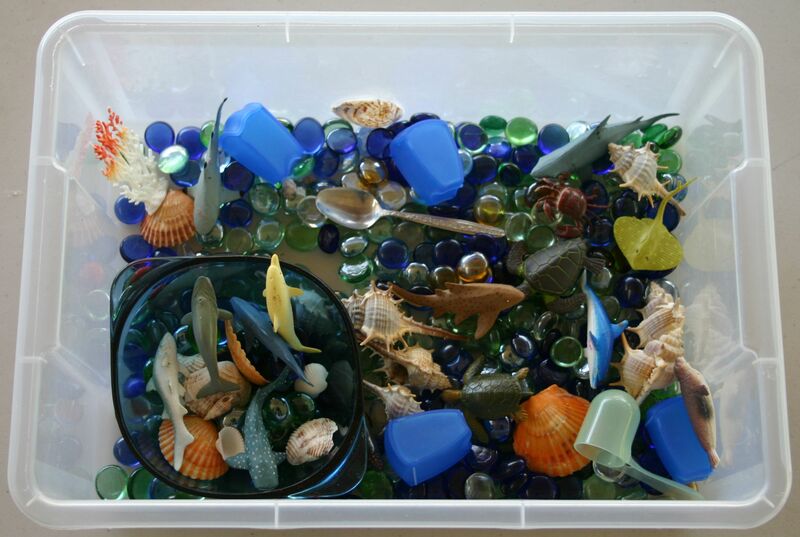 I’ll be posting some table time ideas soon and of course, any of the toddler, workjob or Montessori ideas I post would be suitable, as long as your child can do them without assistance.